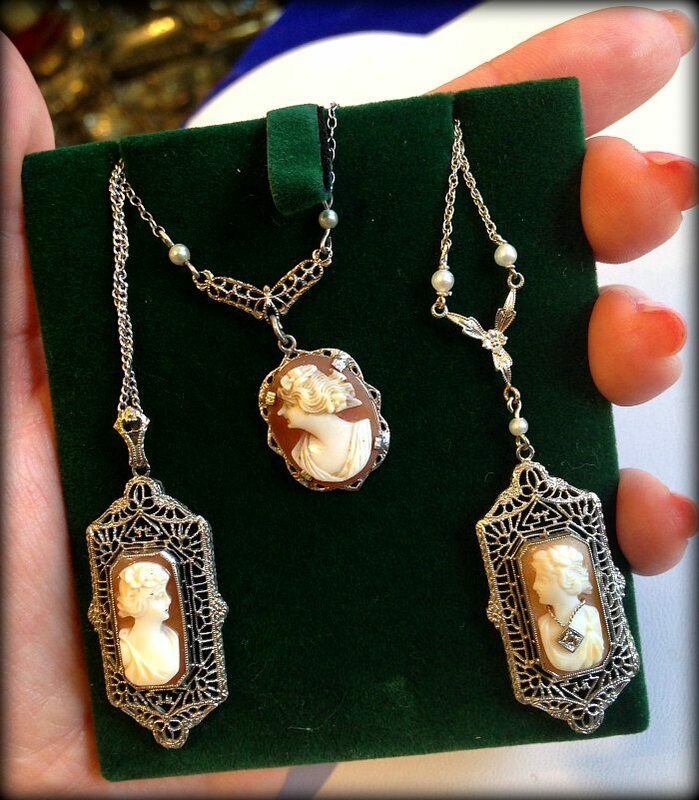 You are here: Home / Jewelry / Bracelets / Photo recap: checking out The Antique Guild’s newest jewels. 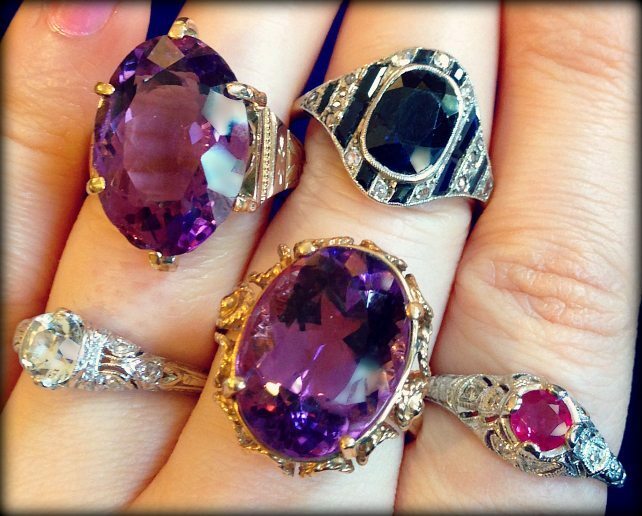 Photo recap: checking out The Antique Guild’s newest jewels. 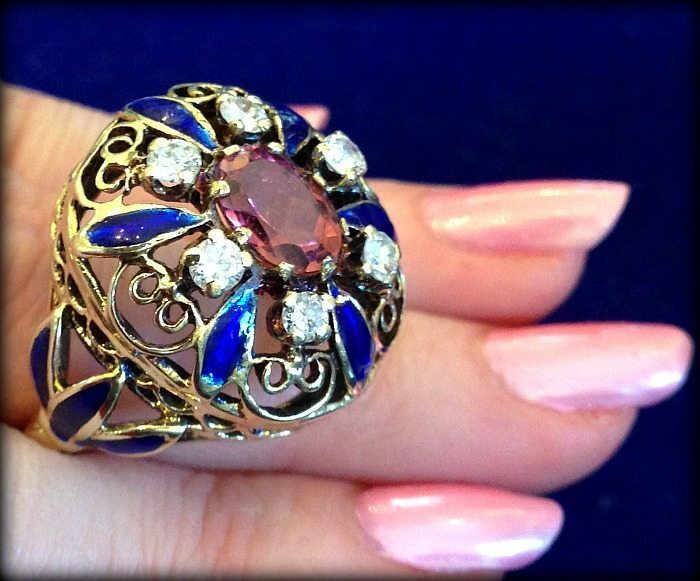 My initial store profile of The Antique Guild was a big moment for Diamonds in the Library: it was the first time I featured a store using only photos that I’d take myself, which – as you know – is now one of my favorite things. I have some very pretty things to show you, some of which I got up close and personal with thanks to my new favorite lenses. 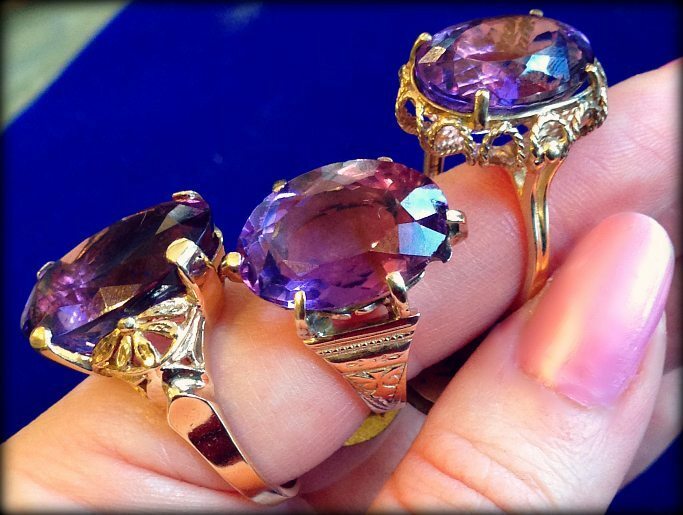 Here’s some of the prettiest rings I met that day, from Victorian to contemporary. 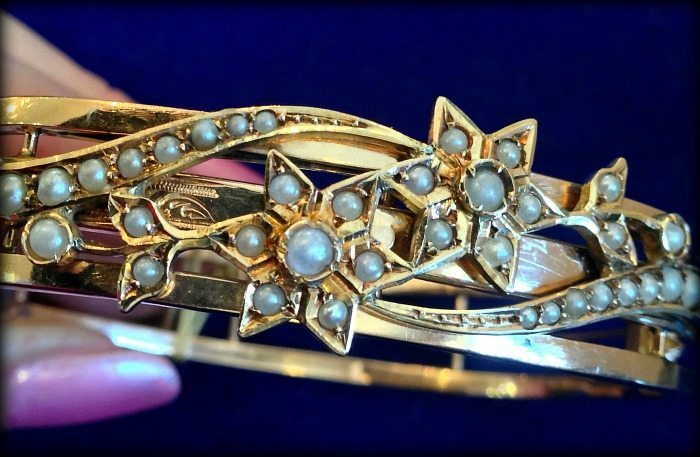 I love the details on this antique gold and seed pearl bangle – it’s like a vine that’s blooming stars. How do you like that sapphire? I’m kidding, obviously you love it as much as I do. 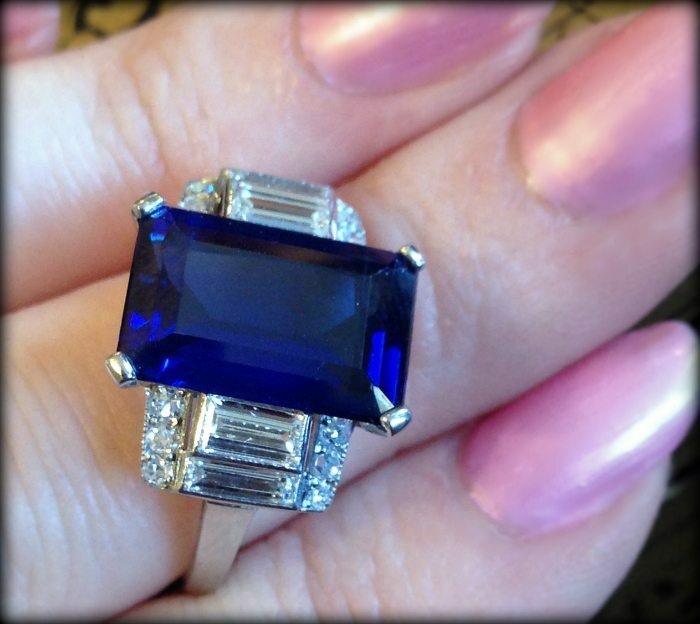 5.77 carats, gorgeous beyond all comprehension. It took my breath away. 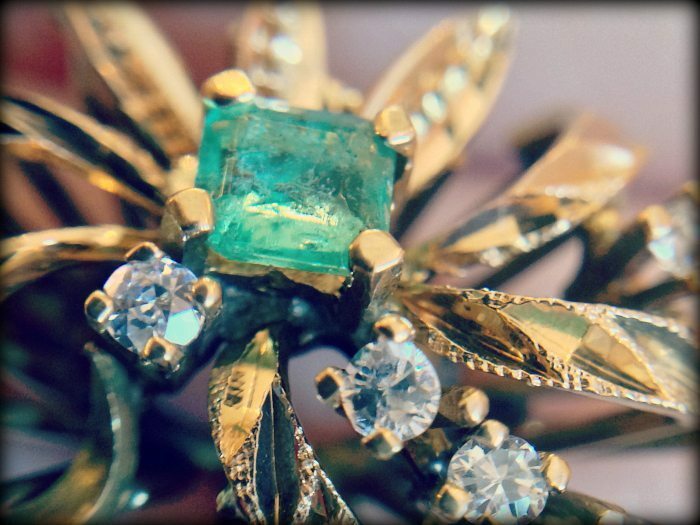 The subtitle of this post should really be “Becky plays with her macro lenses.” Because I did, and it was marvelous. 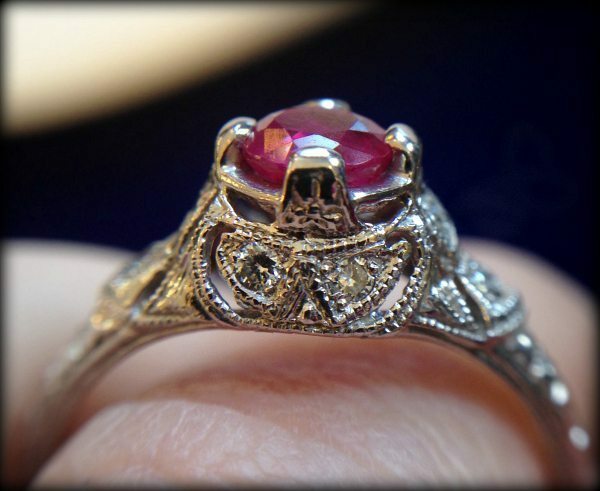 This little ruby ring is actually contemporary, just antique-inspired. It’s good, though, yes? I actually did not buy anything while I was there. I’m trying a new budgeting thing for 2014 – it involves spreadsheets designed by the brilliant future Mr. DitL – and I’m doing pretty well with it so far, if I do say so myself. 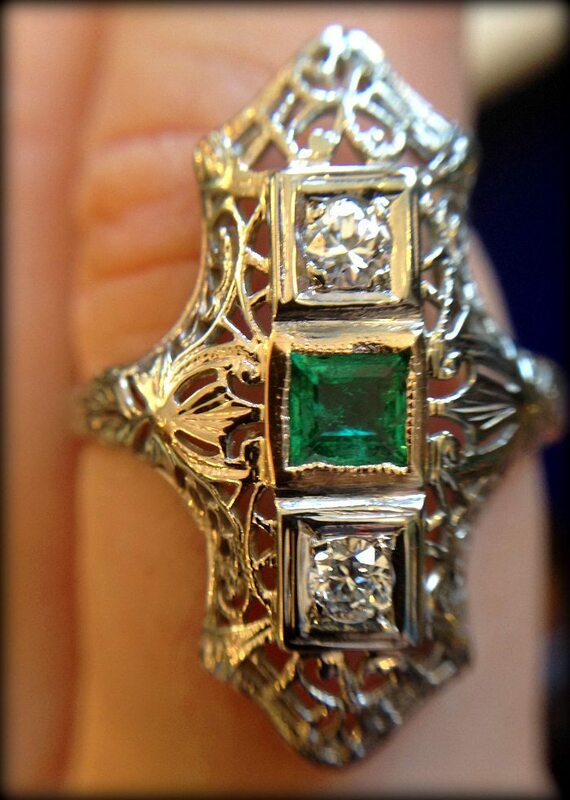 The retro emerald and diamond stunner above is the piece I most nearly bought. 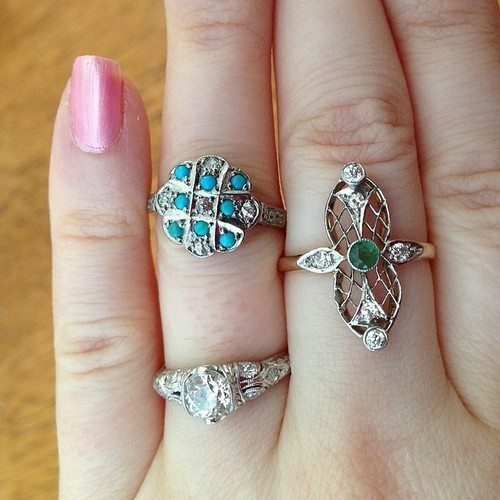 Antique emerald and diamond filigree ring from The Eden Collective was a bday gift to me from Mr. DitL, antique turquoise and diamond cluster ring from eBay was a birthday gift to me from me! 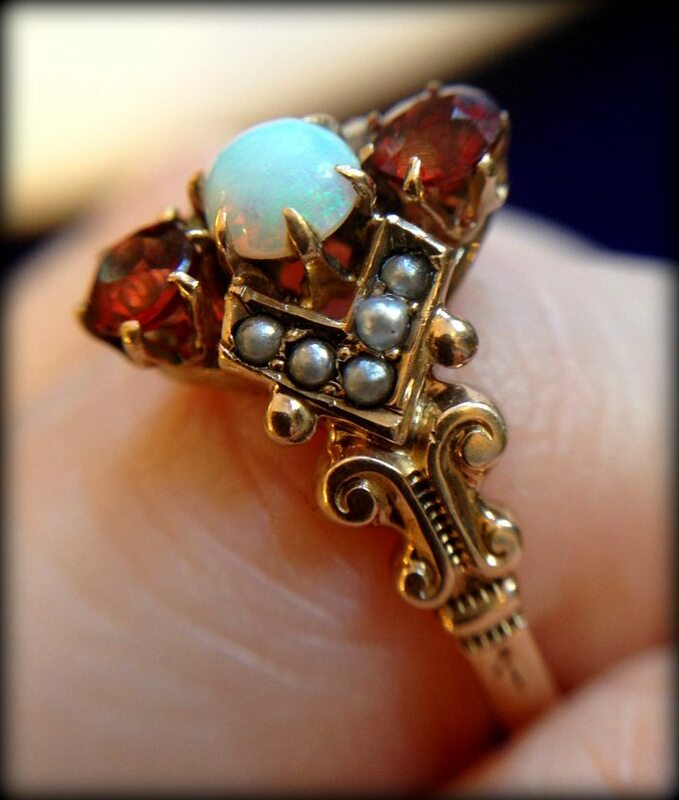 And you already know all about my engagement ring. But anyway, I’ve digressed. 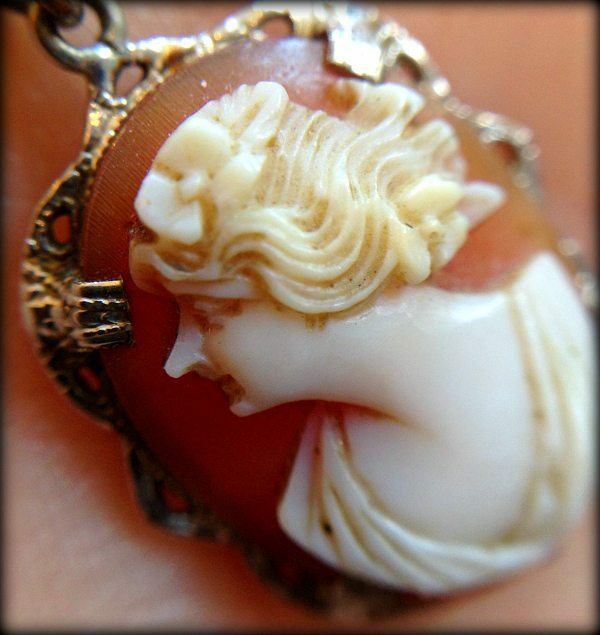 I had a glorious visit to The Antique Guild once again, and I can’t wait to return again. Mara has such a great eye, and she uses it to fill her store with sparkling delights. A huge thanks to Mara of The Antique Guild, for being as lovely a host as ever. I’ll be back soon!